WhatsApp is a famous chatting app. You can chat with your friends through your phone. WhatsApp announced its web version, that users can run WhatsApp on their browser. WhatsApp also available for Nokia X family phones. And you can turn off blue seen ticks on WhatsApp. To run WhatsApp web version you need next things. If you have these 2 things then we can continue. First of all, you need to open WhatsApp Web version website. After you can see the QR code ( don't worry you don't need to download any extra QR code scanner app ). 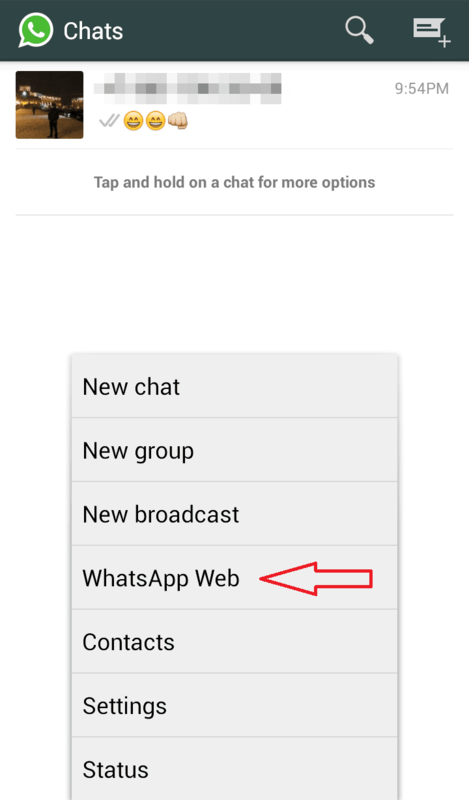 Now open WhatsApp in your phone and then open the Menu and from the menu select Whatsapp Web. In this post, examples are in Android device. When you open the WhatsApp web then you can see at the bottom of the website the information about how you can open that settings menu in your device. Now you need to scan the QR code on your PC's screen. And if you are doing all true then you can see your WhatsApp conversations. You can look at settings and find something useful for you and make it easier to chat with friends on WhatsApp.